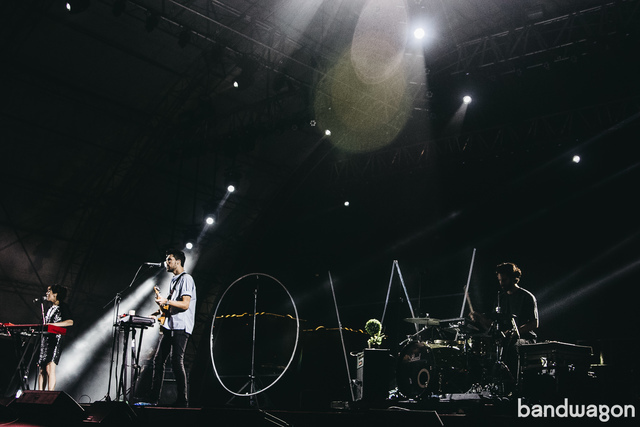 It’s about time that international tours recognize Manila as an essential stopover for foreign festivals and artists. 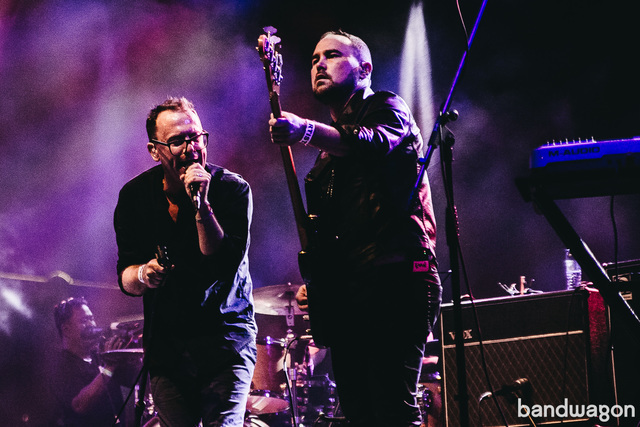 With the recent emergence of local music festivals catered to listeners interested in alternative music beyond the Billboard charts, this city’s proving that it does have an audience for rising bands. 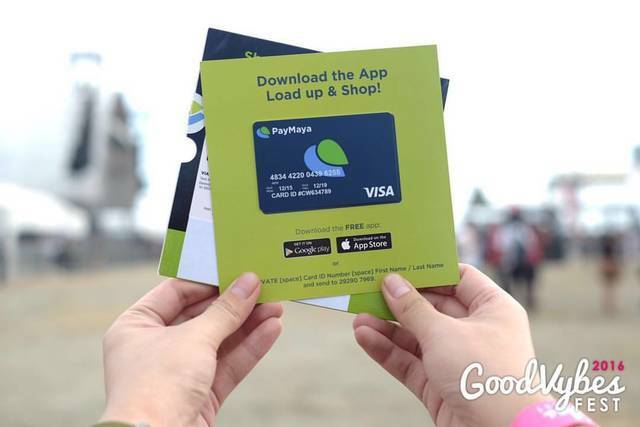 Following in the vein of Karpos' Wanderland, Hostess Club’s FebFest, and 7107 is the new contender, GoodVybes Fest. Last Saturday had the perfect weather, with just the right amount of clouds, and a cool night breeze. The grounds were spacious enough for you to lay a mat down somewhere and take a breather if you needed it, and it wasn’t hard to weave your way through a crowd to get a good spot just several feet away from the stage. 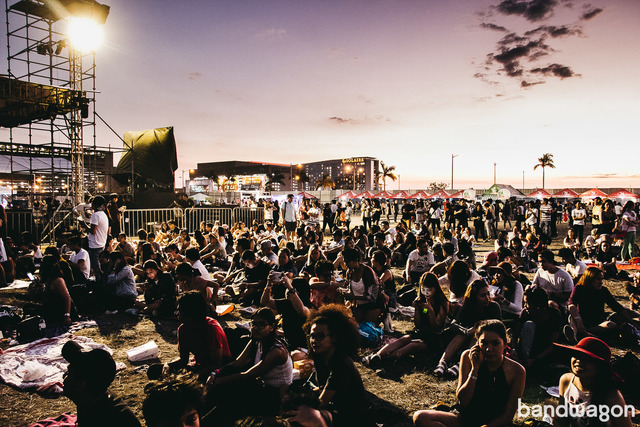 The organization of the festival may have been on the messy side, with a lot of scheduling and logistical problems, the overall experience did bring good vibes indeed. 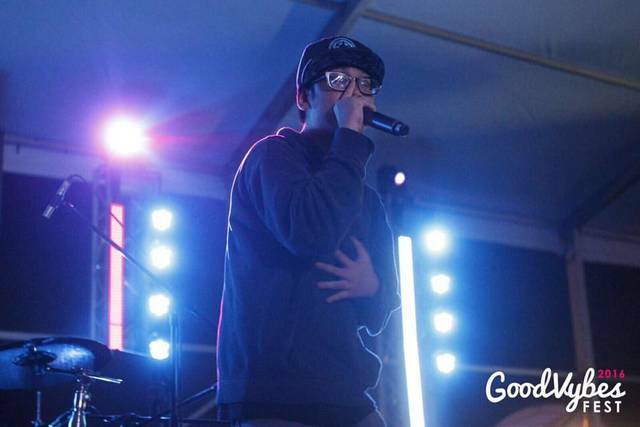 Though Vybe Productions’ line-up was on the safe side, catering to synth-based pop songs with headliners who already have solid followings here, people flocked to the Aseana Open Grounds in droves. That’s proof that there is a crowd for electronic pop and synth-based rock. Hopefully that makes organizers more willing to take risks to bring in a more diverse set of bands who are popular or promising. Most people usually keep their sad songs to themselves. We listen to them in our rooms or on headphones, privately sulking in solitude. However, when Stars is in front of you, all those barriers fall down. When they played Your Ex-Lover is Dead, people in the crowd sang “live through this / and you won’t look back” like it was a matter of life and death—which is what it must have been, for a lot hopeless romantics out in the crowd. The Canadian band’s elaborately-arranged chamber pop songs of love won and lost that are intimate on headphones sounded downright cathartic on a big stage. Torquil Campbell’s frenetic dancing and heartfelt, earnest singing cemented his place as one of our favorite uncles. It also felt like Amy Millan was softly whispering in our ears with her breathy voice, even if we were really hearing it over a large sound system. Stars just has that knack of making us feel at home. People were barely done wiping the tears from their eyes when Stars got us dancing to No One is Lost, and singing “put your hands up / because everybody dies” out loud. They took the loneliness and isolation that people keep inside, and made it fuel for a collective celebration of life. That makes Stars the unanimous favorite of the Bandwagon team present that day. People have been waiting for Passion Pit for a long time. 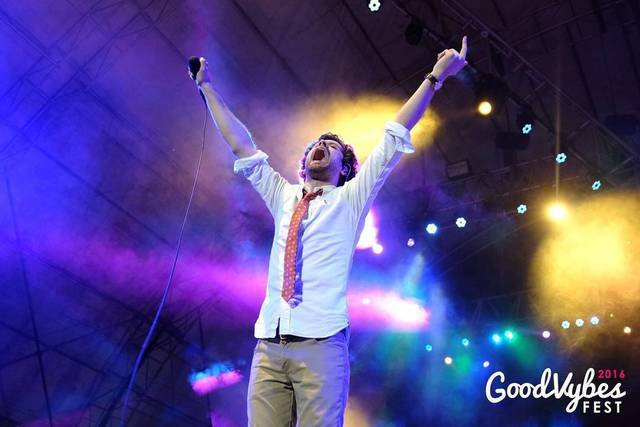 Michael Angelakos was slated to play in Manila last August, but the show was canceled on account of a throat condition. He was the last act to play on the main stage, and the crowd welcomed him eagerly with loud cheers. His voice was in ace condition that night, maybe thanks to the tea he sipped onstage every now and then. He pranced around the stage bursting with energy, but the general mood of the set was a little too consistent, with the songs eventually blending into a haze of synths and Angelakos’ voice. We think that Passion Pit would actually have sounded better in an indoor venue. All the more of a reason for him to return. A lot happened at the Beat Tent later that night. 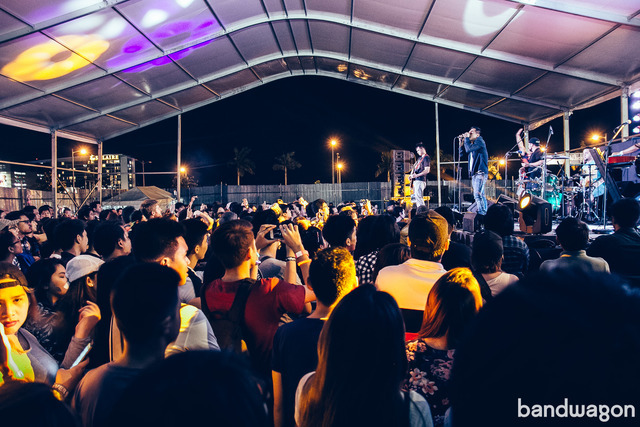 Despite Kjwan being moved from the main stage to the Beat Tent last-minute, they still drew in hundreds of people. She’s Only Sixteen, Moonwlk, BP Valenzuela, and Shadow Moses x Ninno put their best foot forward. The crowds moved back and forth between the main stage and the Beat Tent, eager for discovering new artists to listen to—which is the point of a multi-stage music festival. 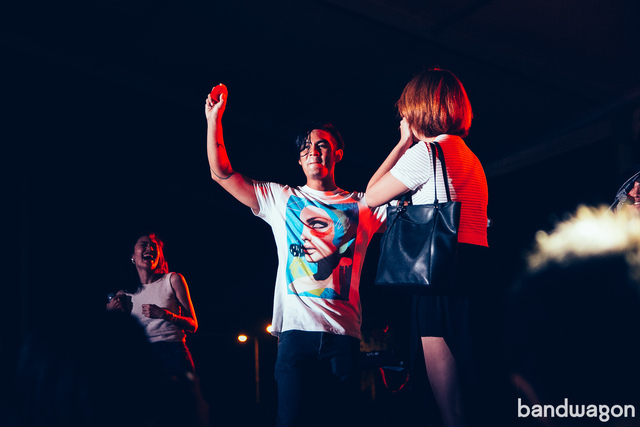 During Moonwlk’s set, vocalist Nick Lazaro proposed to his girlfriend onstage. It was a romantic moment that was our honor to witness. It's also proof that even though we’re in the 21st century, grand gestures of romance aren’t dead. Shadow Moses and NINNO were an explosive combination. They wear their geekiness proudly on their sleeves, rapping about dystopia and science-fiction backed up by Cowboy Bebop visuals. Ninno’s proving to be a wordsmith to watch out for with his debut album Third Culture Kid that he released a couple of months ago. It was Ninno’s first performance with a full band, and they slayed. They had a live drummer and Rez Toledo, also known as Somedaydream, on bass. On the platform backed up by visuals were Six the Northstar on beats and Chyrho on additional vocals. There was even an old-school rap battle between the men of Shadow Moses. They took hip-hop back to its roots, with a millennial twist. Oh Wonder (UK) was a pleasant surprise. It’s quite a feat for a band to play on a different continent with just about a year under their belt. The Assembly General’s drummer and former Eraserhead Raymund Marasigan tweeted about talking shop with their drummer, who definitely has chops. Oh Wonder has yet to carve out a niche in the already crowded genre of electronic pop, but they’re something to watch out for. When it comes to a festival with multiple stages and dozens of bands, time is gold. On the day itself, Vybe announced a new stage and a different festival schedule. 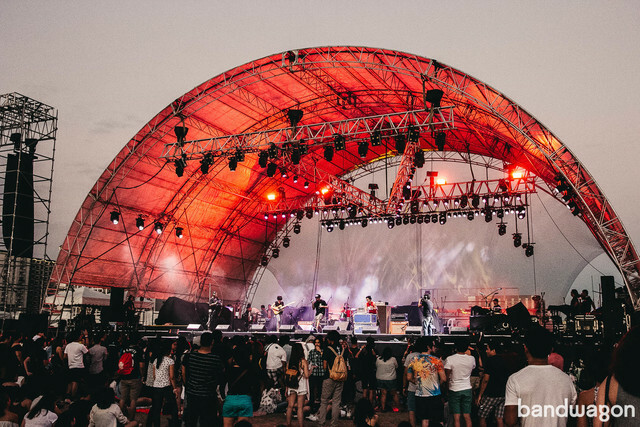 Despite that, the event ran two hours late, pushing Kjwan to the much smaller Beat Tent stage in order to make way for the longer set-up time of the foreign acts. It was a mess that had its repercussions far into the night, but people were still able to make the best out of it. 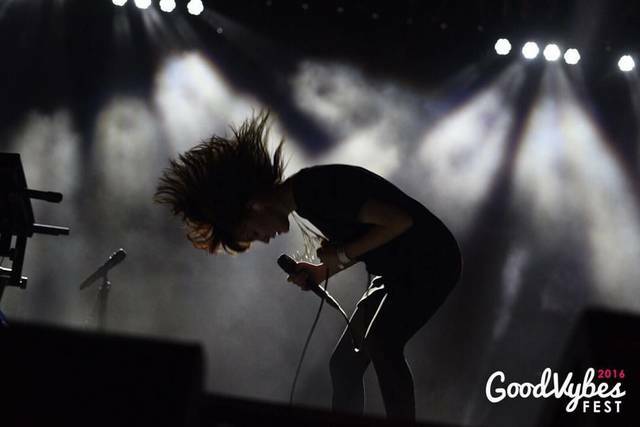 Midway through CHVRCHES’ set, Lauren Mayberry joked about how her hair must’ve taken on a life of its own due to the humid air. It was charming, but maybe she just ran out of things to talk about? We’d have to agree with the folks who caught CHVRCHES at Laneway earlier this year: If you’ve seen CHVRCHES once, you’ve pretty much heard most of it. Due to a serious oversight, CHVRCHES started playing midway through BP Valenzuela’s set, with the sound from the main stage overwhelming the Beat Tent. However, she confidently soldiered through, to the cheers of the crowd who still stayed to see her play. 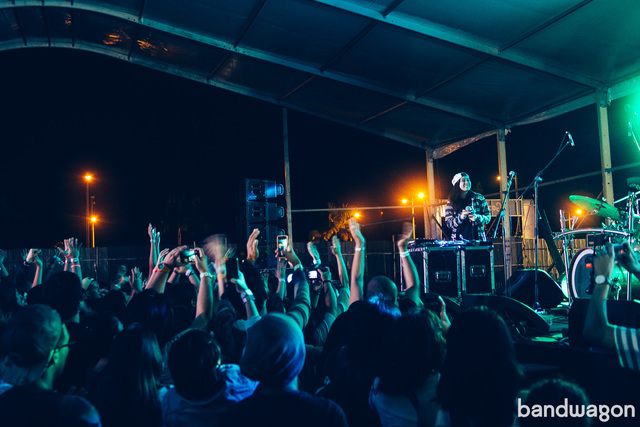 With that kind of support, nothing can keep Manila’s homegrown acts down. Remember that scene from Almost Famous where Penny Lane twirls around an empty concert hall with all the flyers and leftover debris from the Stillwater show? Well, it isn’t as romantic as a dusty field with trash everywhere. 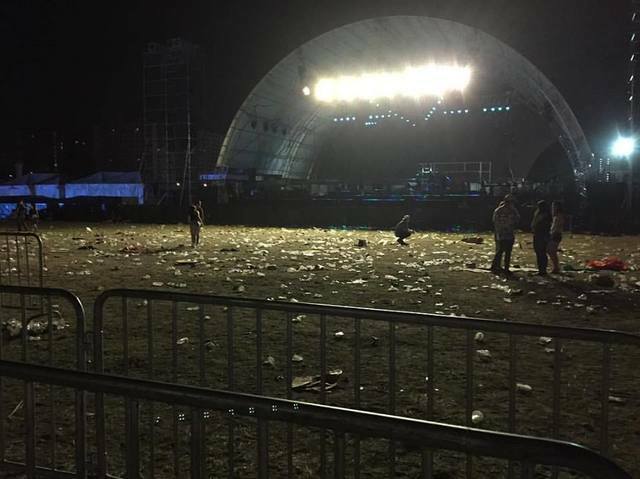 Trash cans, an absolute necessity, were nowhere in sight, nor was there a conscious effort to remind festival-goers to be mindful of their trash. Oh, and the portalets didn’t have lights. The dust, the dust. Mats and blankets were necessary, because there was barely any grass in sight. You’re lucky if your shoes weren’t dusty brown by the end of the night. At least it didn’t rain, right?